With impressive fluidity and a style that turns heads everywhere it goes, you will not be able to keep your eyes off the all-new 2019 Toyota Corolla Hatchback. This four-door model offers ample room for friends and family with seating for five. Two models give you more options with the Hatchback 6MT and Hatchback CVT. Sleek style and modern features make the 2019 Toyota Corolla Hatchback come alive even when it’s sitting still. Bold colours like Blue Flame ensure this car gets attention. The design is just as much about function as it is about looking good with a low centre of gravity to improve performance. Sporty features like an integrated spoiler and lower body diffuser on the rear showcase the athletic side of this model. 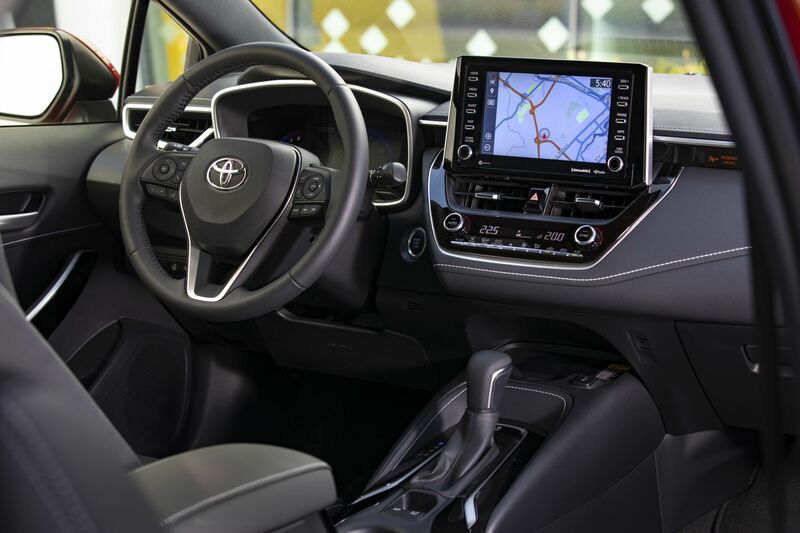 Step inside to the charming cabin of the 2019 Toyota Corolla Hatchback with its high-gloss accents and soft-touch materials. 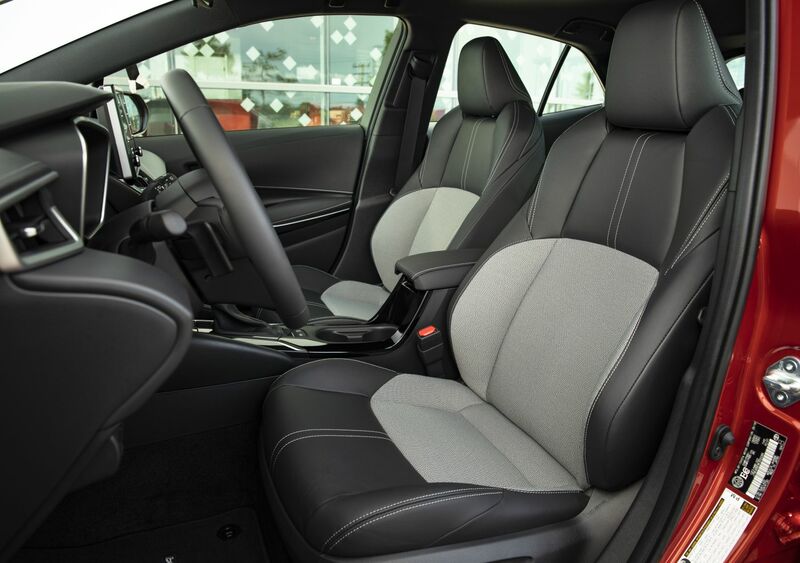 Piano black trim creates a sense of refinement while available Softex seats ensure a taste of luxury for every journey. Split-folding rear seats provide more cargo space which is accessible from the hatch. Experience all Entune 3.0 has to offer on the 2019 Toyota Corolla Hatchback. Choose your favourite apps from the App Suite with apps for weather, traffic, sports and much more. Use the navigation to help you find a new destination. This system also helps you when you’re in an unfortunate situation with roadside assistance and emergency assistance. Listen to your favourite songs or sporting events and more with the six-speaker audio system. 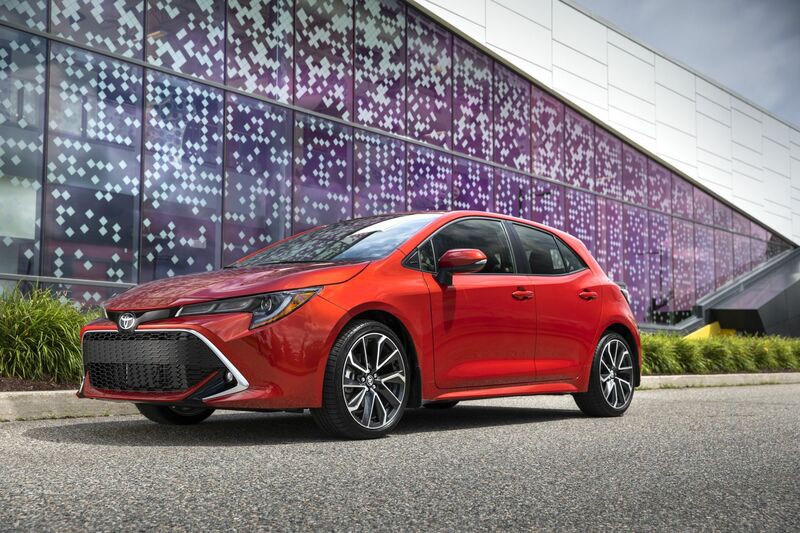 Personalize the 2019 Toyota Corolla Hatchback with the perfect choice of accessories. Choose specific feature enhancements or upgrade with a package, which includes features like heated front seats and 16-inch aluminium alloy wheels. Experience quick response and athletic performance with the 2019 Toyota Corolla Hatchback. The Dynamic Force 2.0L 4-cylinder engine provides impressive power with incredible fuel efficiency. You also have the choice of either the six-speed iMT or the Direct Shift CVT for smooth handling. Feel secure in the 2019 Toyota Corolla Hatchback with its modern safety features and quality design. Standard and available safety features make the 2019 Toyota Corolla Hatchback one safe ride. The 2019 Toyota Corolla Hatchback is backed by a solid warranty for your peace of mind. Enjoy the efficiency and style of the 2019 Toyota Corolla Hatchback as you drive to work every day or go for a weekend getaway. Peppy performance and supreme comfort ensure every trip is enjoyable in this compact car. 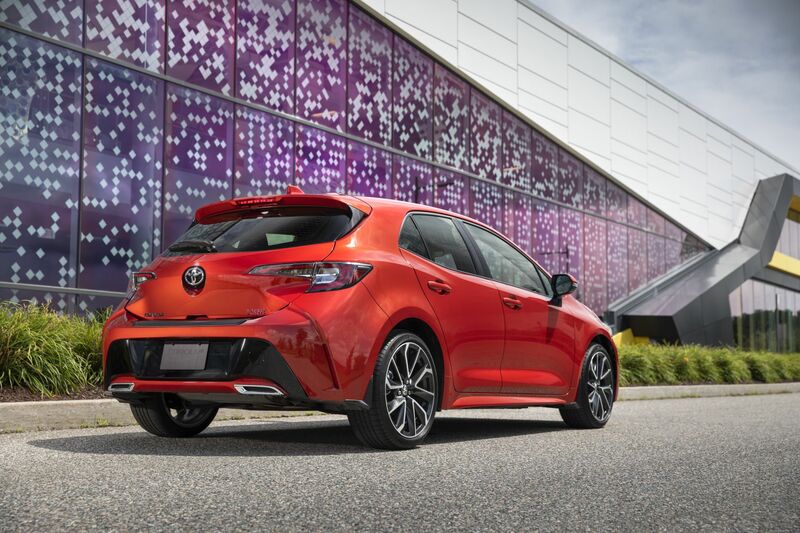 Discover all the 2019 Toyota Corolla Hatchback has to offer when you visit your local Edmonton Toyota Dealer – Gateway Toyota. Come in to Gateway Toyota for a test drive and to see the models available for you to choose from.